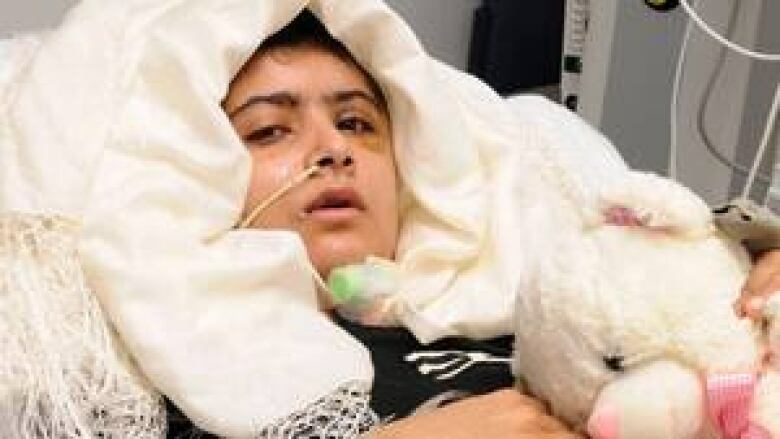 Doctors treating 15-year-old Pakistani shooting victim Malala Yousufzai say she is able to stand with help and to write, though she still shows signs of infection. "She is not out of the woods yet," Rosser said. "Having said that, she's doing very well. In fact, she was standing with some help for the first time this morning when I went in to see her." Malala was flown from Pakistan to Birmingham on Monday for advanced medical treatment and for security protection. The medical briefing Friday offered the first real indication of her progress. Earlier briefings were quite limited out of respect for the girl's privacy. Pakistan girl shot by Taliban airlifted to U.K.
"She seems able to understand. She's got motor control, she's able to write.